Is watching day break over Machu Picchu on your bucket list? It is on ours. What could be more awe-inspiring than entering the gates of Machu Picchu, seeing the ruins stretching out above and below you, and being surrounded by some of the highest peaks in the Andes? Start in Lima. Spend a day (or two) exploring this city that has achieved world-wide acclaim for its cuisine. Take a short flight to Cusco. Walk the cobble-stoned streets of the Main Square before touring the Santo Domingo Convent and Church, built on the massive walls of the Inca Qorikancha, or Sun Temple. Wander the picturesque neighborhood of San Blas and visit the workshops of top artisans. Enjoy lunch on the Cathedral Square before touring the Cathedral of Cusco. At 11,000 feet, don’t plan for any strenuous activities. Feed the llamas at Awana Kancha. 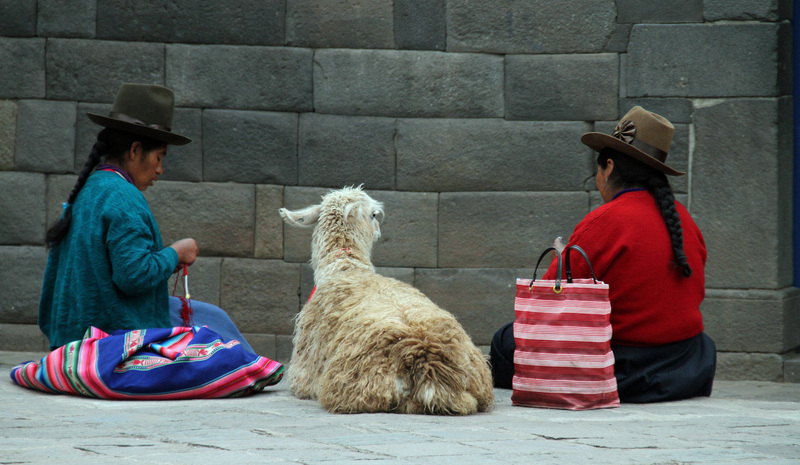 On the way to the Sacred Valley is Awana Kancha, a textile center and home to South American Camelids (member of the camel family) – llamas, alpacas, guanacos and vicunas. Watch the traditionally-dressed women weave the wool of these animals to create colorful textiles. Head to the gift shop – full of hand-woven clothing and artwork. Climb to Ollantaytambo, an Inca archaeological site. First, take a short tour through the small village, which has some of the oldest continuously occupied dwellings in South America. Climb to the top of the Ollantaytambo fortress for the breathtaking views across the Urumbamba valley and the ancient storehouses on the opposite hillside. 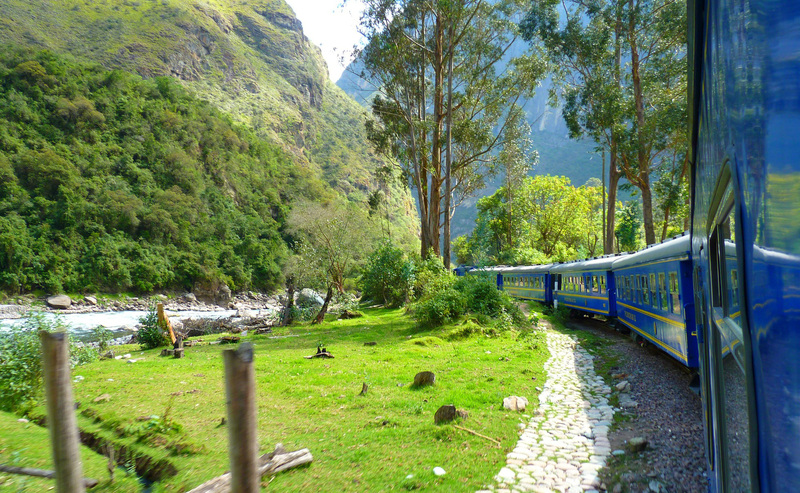 Ride the Peru Rail to Aguas Calientes. What better way to reach the Macchu Picchu Pueblo than by rail? From Ollantaytambo, the trip is 90 minutes to Aguas Calientes. The village is enclosed by a towering cloud forest and rushing rivers. Take in the street-fair atmosphere of the village before dining in one of the local restaurants. Stay overnight to get an early start to Macchu Picchu. Arrive in Machu Picchu. Arrive via foot (the 6-kilometer walk takes about an hour) or by bus. Buses travel the winding dirt road departing every 15 minutes. Once there, go through the ticket booth, around a bend in the trail, and, finally … Machu Picchu! This architectural wonder was built by the Incas around 1450 without the aid of wheels or iron tools. Over 600 terraces were created to keep the city from sliding down the mountain. Spend several days exploring all that Machu Picchu has to offer – the Condor Temple, Royal Tomb, Temple of the Sun, Sun Gate, and the citadel, including the City Gate and Temple of the Three Windows. 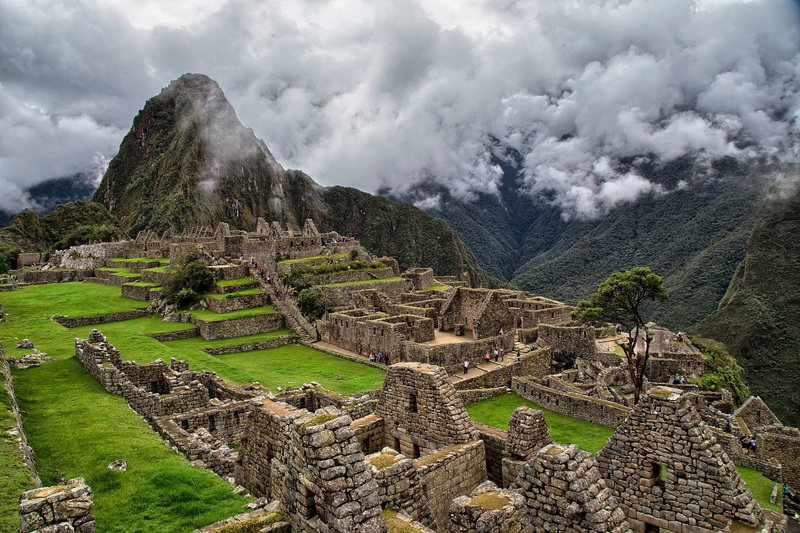 As you make your way from Lima to Machu Picchu, you can easily stay connected to everyone in your traveling party with the WirelessTraveler app. Calls are free app to app and it is only 2 cents/minute to call back home to the United States (with a WiFi connection). With the Pocket WiFi hotspot everyone can upload pictures, check their email and social media (up to five devices can connect to the Internet at one time). Don’t have WiFi? 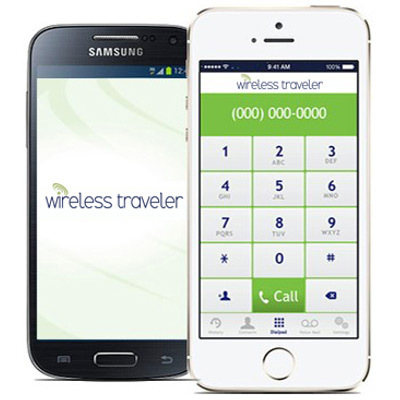 Buy the Wireless Traveler SIM card for $24.95 and enjoy cellular connection EVEN at the top of Machu Picchu. Book your trip to Peru through our partners at LATOUR and receive a rental phone for free. You only need to add a bit of airtime. Javed and his team are incredibly attentive and flexible, especially if you are traveling with friends and family and would like your own group tour.